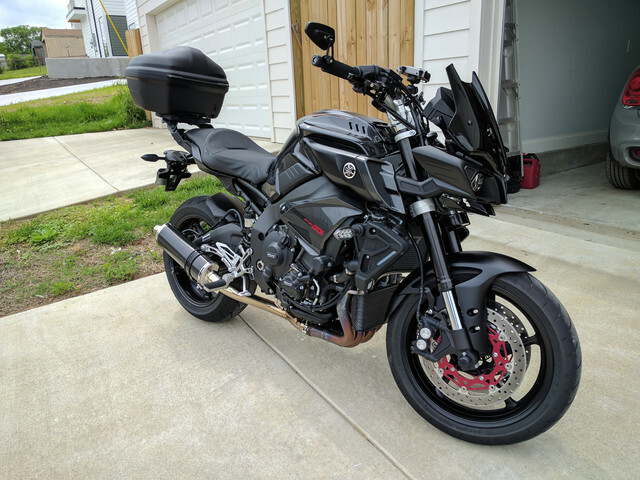 It's a better-than-new & well farkled FZ-10. This is the most impressive bike I've ever ridden. Now a new job will require me to move across the country soon. So, I’m thinning the herd. First oil change @ 78 miles. Second oil change @ 608 miles. 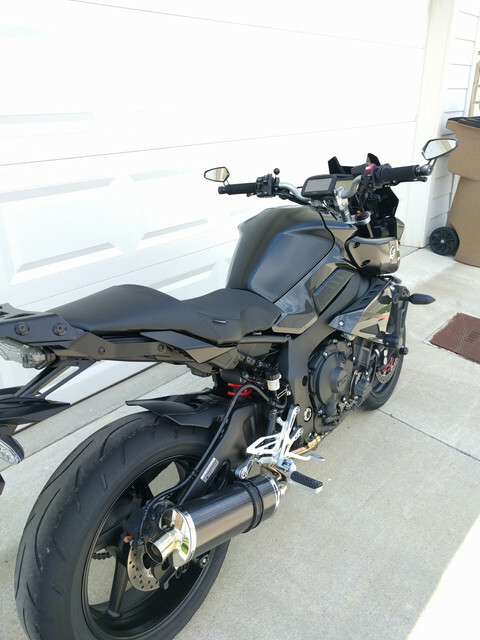 Selling the bike with all the items above for $12,000. Trying to share pictures. Please let me know if you can't view them. 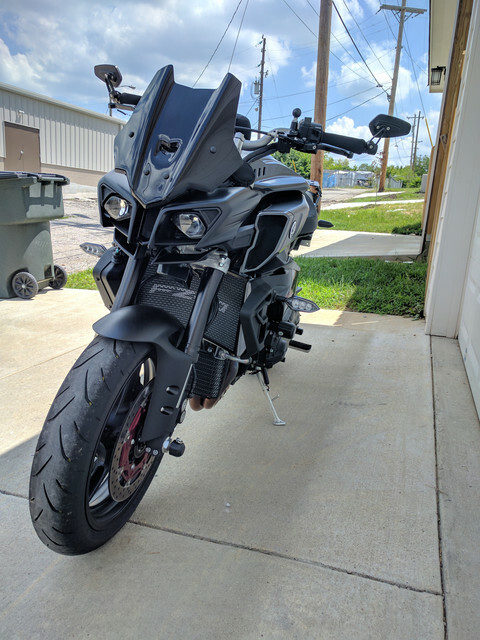 It's a practically new & well farkled FZ-10. This is the most impressive bike I've ever ridden. Now a new job will require me to move across the country soon. So, I’m thinning the herd. Selling the bike with all the items above for $12,500. I see thes epics no probs, just not in your last post. Way too nice, you should keep it and take it with you. I've thought long and hard about it. If it doesn't sell before the move, I'll find a way. Also selling a WR250r and a XT250 - if those go first, I'll probably keep the FZ-10. The problem is that I'm travelling for work too much - last month I slept in my bed 6 nights (including weekends). That's why this bike has only 800 miles, and this owner is frustrated. What did you use for the handlebar risers ? I totally understand the usage issue, I have a garage full of toys that don't get enough use. walk by them most mornings and ask myself why I own them , than one day I drive one of them and the grin on my face tells the rest of the story. 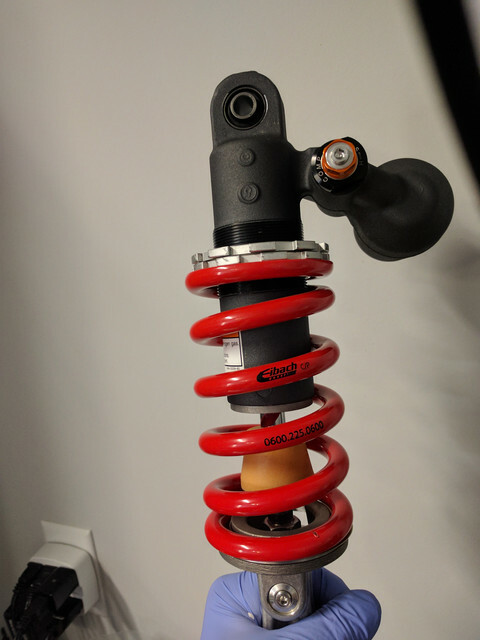 I had a hard time finding 1" risers (the highest you can safely use with stock lines). 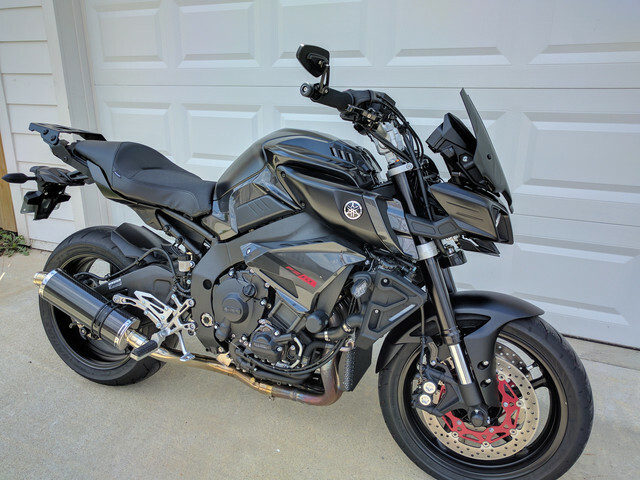 It turns out the FZ10 handlebars are the same as Super Tenere's, so that's what I bought. No issues with cables, and less shoulder pain. Really love this bike, Is it still available? Long shot, but do you still have it?